I accidentally blew up my dev lab and now I need to build a new one but luckily we have PowerShell :). In this picture we have 8 Queries and I would like to create Device Collections based on these Queries. These Queries are built with Servicing Extension. 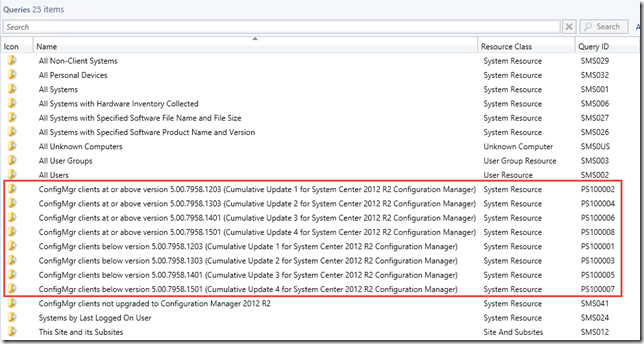 Here are some of the commands that we can use in Configuration Manager 2012 R2 CU4. These commands allows us easily export/import Queries from one system to another and much more. 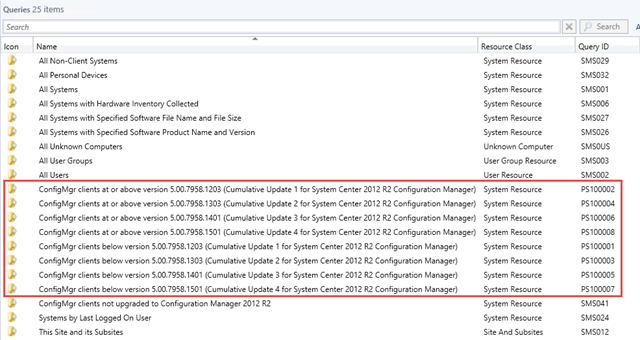 Move-CMObject -InputObject $Collection -FolderPath "$($SiteCode.Name):\DeviceCollection\System"
$Collections = Get-CMDeviceCollection -Name "*ConfigMgr clients *"
Do you have a script that will export all queries to a CSV and which can then be used to import to a new site?